Kirkcaldy and Cowdenbeath MP Lesley Laird has expressed concern that the full results of a SEPA and HSE investigation into unplanned flaring at Mossmorran will not be published. The fears come after it was revealed that SEPA had not committed to publishing a report into the flaring. A number of high-profile incidents of flaring have led to anger in nearby communties, with claims of noise, and pollution. Earlier this year it was revealed that the plant was the third biggest emitter of green house gases in Scotland. Ms Laird said: “At the previous meeting of the Mossmorran Communities Working Group we heard a commitment to publish a report, a report which we understand has been delayed due to unforeseen circumstances. 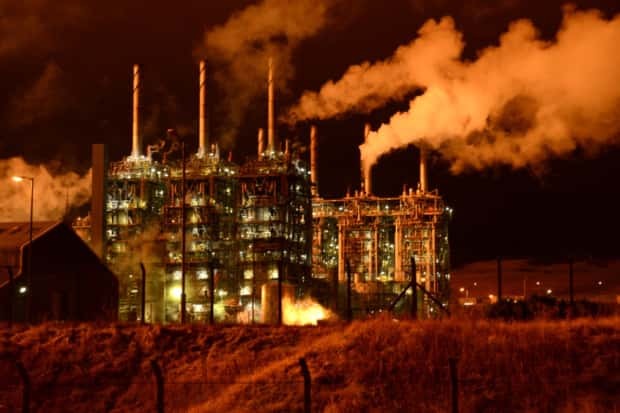 “Given long-standing problems with unplanned flaring at Mossmorran and a lack of understanding as to why this was happening, the working group’s remit was to establish openness and transparency between the plant, public authorities, and surrounding communities going forward. A spokesman for SEPA said: “Our investigations into the unplanned elevated flaring that occurred at the Mossmorran facility in 2017 and 2018 are on-going and are at an advanced stage. “SEPA has committed to keeping the local communities around Mossmorran informed and have published information on our Mossmorran Hub webpage at sepa.org.uk/mossmorran. This includes details of the enforcement actions taken to date. Mossmorran boss Sonja Bingham has said she wants better communication between the plant and locals.